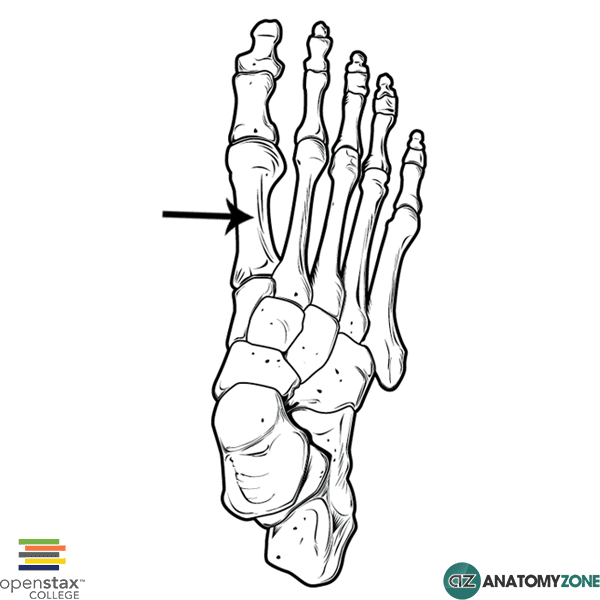 The structure indicated is the first metatarsal bone of the foot. There are 7 tarsal bones, and 5 metatarsals. The metatarsals are numbered from 1 to 5 from medial to lateral, with the first metatarsal belonging to that of the great toe (hallux) and the 5th metatarsal belonging to that of the little toe. Learn more about the anatomy of the bones of the foot in this anatomy tutorial.